Nothing or no one can stop our country Ethiopa, thanks to the sacrifice made by our martyrs we will reach to the top no matter what. Q&A-Has Eritrea softened its foreign policy? 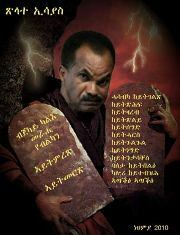 This is not about PM Meles Zenawi, it is way bigger than that. It is about the country Ethiopa getting the respect it deserves in the world community. Eritrea opposition "prepares military offencive"
Anniversary of Demise of Military Dictatorship Celebrated!!! EPDRF’s massive landslide victory does not portray the swansong of multi-party democracy in Ethiopia. The Ethiopian Communities Council of Canada in collaboration with the Tigrayan Association in Toronto will be hosting an all-night party. Victorious EPDRF: magnanimous but no gullible. Domestic demand and foreign interests are different. Shire funderaising night in Washington D.C.
©2005-2010 Tigraionline.com All rights reserved.